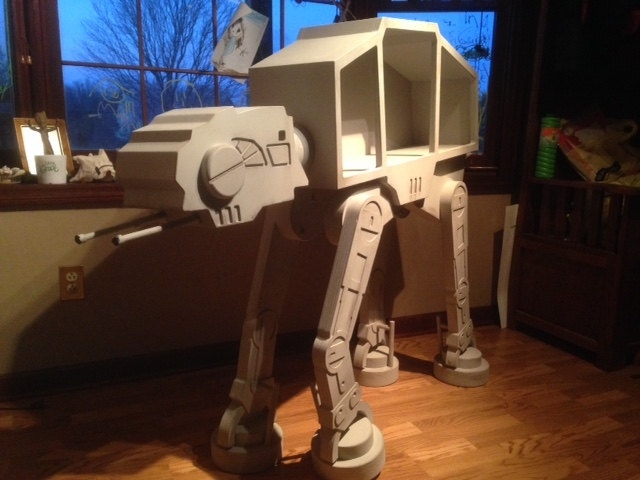 If you have your Hoth themed room finished and are ready to start decorating it with furniture, check out this AT-AT bookcase from WoodCurve. It is made of birch ply and the head and legs have threaded inserts for disassembly for storage or transport. Its overall measurements are 46″(h) x 50.75″(l) x 10″(d), and it will give you an overall interior storage of 31″x 13″, which should give you plenty of room to store your Star Wars books or toys. This would look good anywhere in your home, whether you have a Star Wars themed room or not. 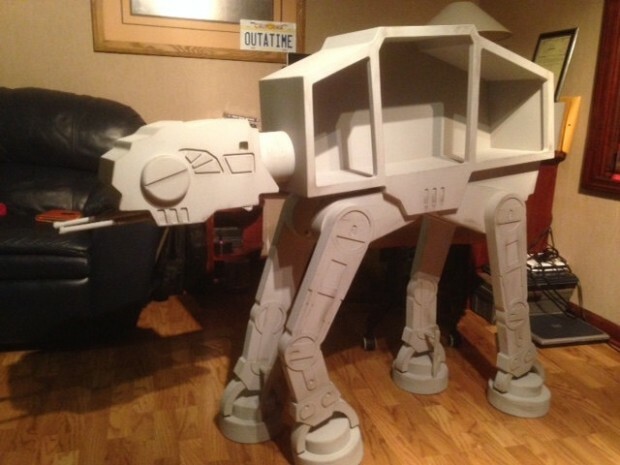 You can never go wrong with an AT-AT in your home. It’s basically a giant action figure.